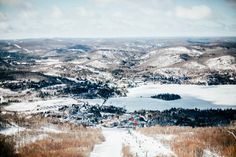 The Association des centres de ski des Laurentides includes thirteen ski centres between two of the region’s most important tourism hubs, Saint-Sauveur and Mont-Tremblant. There are family-oriented centres, resorts of international calibre, one of the largest night-skiing areas in North America and all the snow you could wish for. There’s something special for all skiers and snowboarders of every level of experience. An incomparable variety of slopes with 369 identified trails from beginners’ to extreme double-diamond, plus glade trails and numerous snow parks. 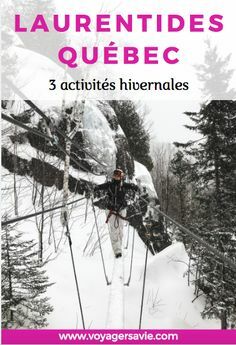 In the Valley of Saint-Sauveur located 45 minutes from Montréal, you’ll find seven ski centres open day and night. Mont Olympia is the best one for beginners and Mont Avila has a tube-sliding park as well as its slopes. 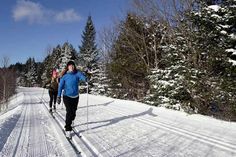 Nearby Mont Saint-Sauveur offers the longest ski season in eastern Canada; Ski Mont-Habitant always gets amazing snowfall and powder; and Ski Morin Heights sits right in the heart of nature. Finally, Ski Chanteclerc is equipped with the longest magic carpet lift in Québec and Ski Mont-Gabriel provides economical Laurentian skiing. Also on the list is Mont Avalanche Sports Station with its panoramic views; Belle Neige with its exceptional snow conditions; Vallée Bleue in its picturesque environment; and Mont Alta with its all-natural trails. 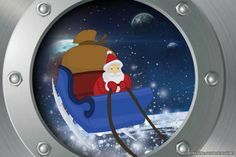 And to crown it all, there is Mont Blanc, the family ski centre par excellence, and Mont Tremblant, the highest summit in the Laurentians and the heart of what has long been the number one resort in eastern North America.